Where can i find the Shared Secret keystring? If you would like to sell your Magazines present in the App via subscriptions, a Shared Secret keystring is required. Click on the entry called App specific key (shared secret) in the Window to the right and copy the Code that will be shown in the pop up. If no entry is present yet, a new one can be created by clicking on the respective option in the Pop up. If a Master Key ( Master Shared Secret ) is already present in your Account it can be displayed by clicking on the "Show Masterkey ( Master Shared Secret )" option. 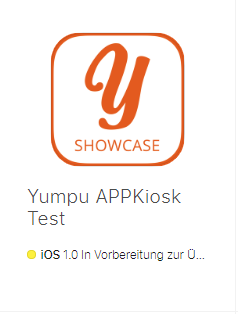 Enter the code shown into the App information form of your APPKiosk entry in your Yumpu Useraccount afterwards.